In 1976, fresh out of university, my first job was as research assistant to Dian Fossey at the Karisoke Research Centre in Rwanda. They were fraught times. Back then mountain gorillas were little-known or understood by the rest of the world, and they had suffered from years of persecution, habitat destruction and poaching. Their very survival as a species was on the line. The first day on the job set the tone for my entire career. We were supposed to be tracking gorillas, but instead came across poacher tracks. With Nemeye, our Rwandan tracker, we followed their tracks and discovered their camp, chasing them away and confiscating their spears and traps. Quite a start to life at Karisoke! Not every day was quite so dramatic. Typically we would spend our days tracking and observing gorilla families, recording their activities, health and numbers. It was hard, but joyful work. My first sighting was of an infant, Titus, being chased up a small tree above a thicket by his younger brother Kweli. Crawling under the thicket, we emerged into what looked like a family picnic with adults sitting around a glade, snoozing and snacking while rambunctious youngsters played all around. The big turning point for the mountain gorilla was Sir David Attenborough’s landmark TV programme, Life On Earth. Before the film, gorillas were seen in a largely negative light, based on King Kong and cheap B-movie monsters -- I recall a survey of the most feared animals which had gorillas up there among sharks and spiders. Seeing this popular TV personality interacting with friendly gorillas changed all that. The famous sequence of Sir David’s spontaneous encounter and his awe for the gentle giants helped bring a new understanding of their true nature to TV screens around the world. That encounter was possible thanks to Dian’s 10 years’ work gaining the trust of the gorillas, learning their behaviours and battling poachers. In 1977, a young silverback called Digit was killed by poachers, leading to The Digit Fund to raise money for anti-poaching patrols, and in 1985 Dian herself was tragically murdered. On the back of Sir David’s film, and the tragic news from Rwanda, the mountain gorilla finally started to break into the world’s consciousness. The Digit Fund evolved into the Dian Fossey Gorilla Fund International (USA) and The Gorilla Organisation (UK). Both organisations work to continue Dian’s work, supporting local NGOs and communities to reduce the threats facing all gorillas and their habitats. 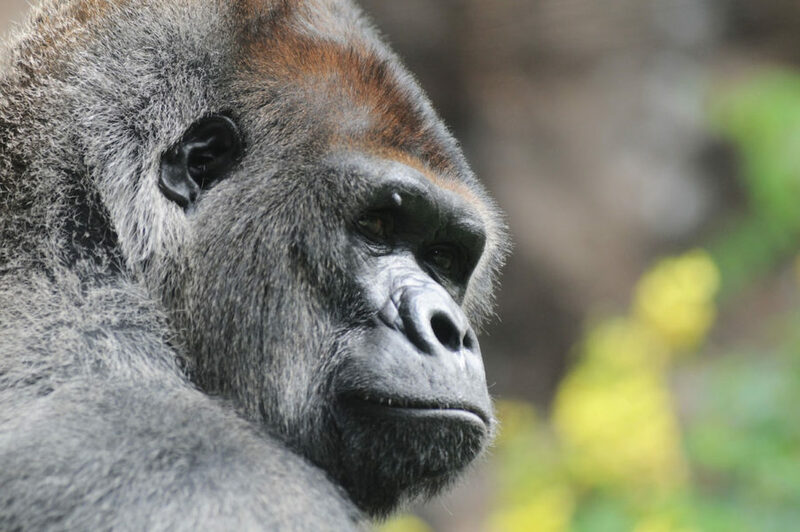 In 1996, it was apparent that the various charities working to save the apes could be more effective if they spoke with one voice, so we created the Ape Alliance of around 100 organisations working to tackle the illegal trade in apes (both as bushmeat and exotic pets), illegal and unsustainable deforestation, mining, and habitat encroachment. Despite some progress, the apes are still staring extinction in the face. Apart from humans, populations of all apes -- gorillas, chimpanzees, bonobos, orangutans and gibbons -- have declined dramatically over the past century. The future of the gorillas depends on their human neighbours, and the agricultural communities around the gorilla habitat are equally dependant on the health of the forest. We now know it’s in everyone’s interest to maintain a healthy ecosystem. And responsible tourism can play an important role in that. But we have to tread a fine line. 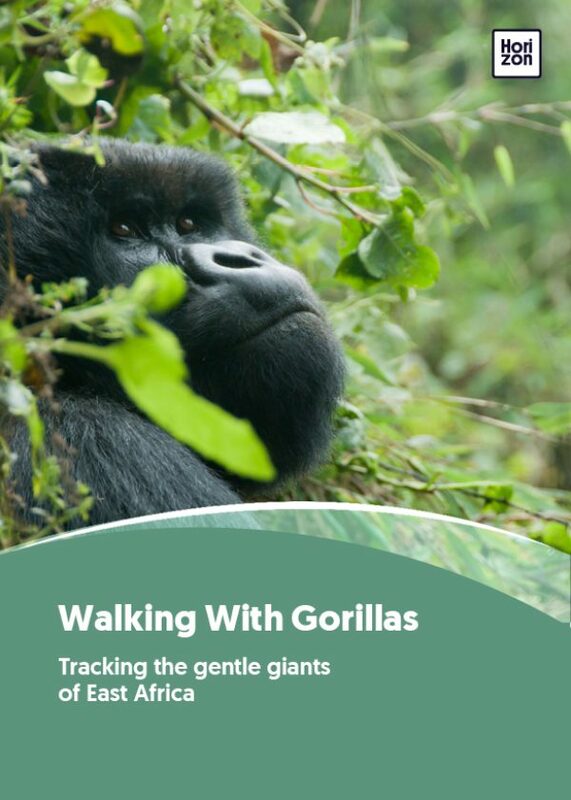 Tour operators must behave with great care to promote a responsible approach to gorilla tracking. Ever-rising demand must not be allowed to put the gorillas at risk. And you, as an individual visitor, have an important role to play, both during your visit and afterwards, as ambassadors for the gorillas and their habitat. Your hour with the gorillas will be one of the most magical moments of your life. Remember to put your camera down, at least for a few minutes, and just watch, listen and breathe in the scents of the forest. Your photos and videos are important souvenirs, but just being there is the real treat. Enjoy.